It's a Mom Thing Reviews & More! : Chocolate Stout Cupcakes! I'm not going to lie, I am kind of obsessed with St. Patrick's Day. It may have something to do with the fact that it is my birthday, but mostly it is because I love the fun celebration of it! I love corned beef and cabbage, I love the parades, and I love the festivities. One thing that I automatically think of when I think of St. Patrick's Day is drinking! While I may not be much of a drinker we tie in beer in other places, like dessert! My family loves these Chocolate Stout Cupcakes and they are the perfect dessert after a dinner of corned beef, cabbage, potatoes, and carrots. If you decide to make them I hope that your family enjoys these cupcakes and that they make your St. Patrick's Day a little bit more festive! To start preheat your oven to 350 degrees F and prepare your cupcake tin by either greasing it or putting in cupcake liners. 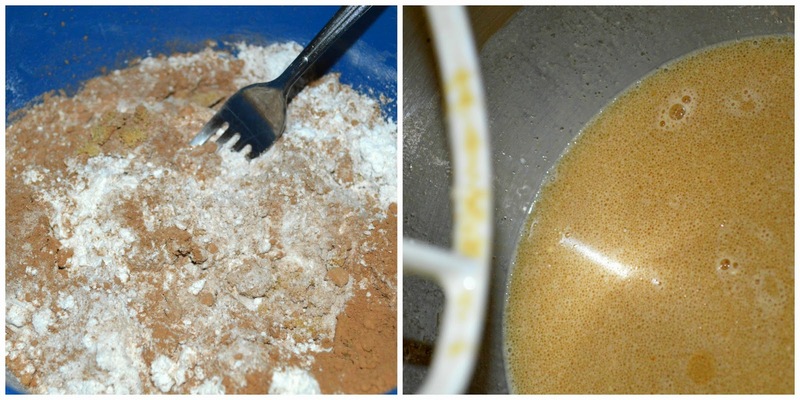 In a bowl combine flour, cocoa powder, granulated sugar, brown sugar, baking soda, and salt. In a stand mixer or a large bowl whisk together stout, milk, oil, and vanilla. Once the wet ingredients are combined beat in the eggs and sour cream until smooth. Add the dry ingredients into the wet ingredients and mix until combined. 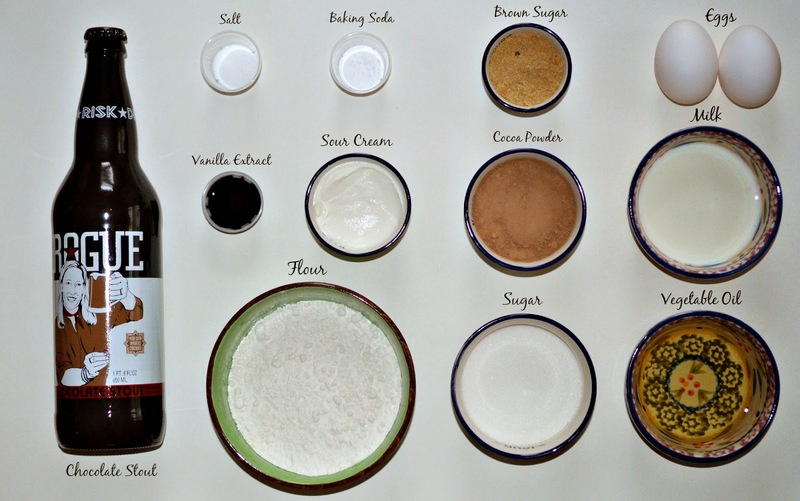 Divide evenly into a cupcake pan and bake for 20-25 minutes. Let cupcakes cool completely and then frost. We use homemade whipped cream frosting to top these cupcakes, I have included the directions for it below. If you prefer a different topping you can use chocolate or vanilla buttercream, or even cream cheese frosting. 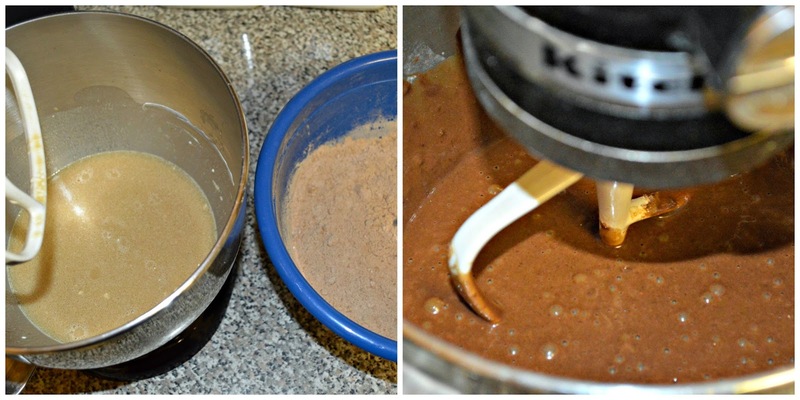 Take your metal bowl and whisk from your stand mixer and place in the freezer for fifteen to twenty minutes. Once they are both cold take them out and attach to the stand mixer. Pour in the cream and turn the mixer on low. After two to three minutes add in the granulated sugar (while the mixer is still going) and continue to whip until fluffy. Frost or pipe the frosting onto your cupcakes.